Finding your wedding style can be difficult, sometimes you can be overwhelmed with ideas or a little stuck for inspiration. Planning a wedding is often a very alien experience, so how do you know where to start? Today we share a few tips, pointers and questions to ask yourself to help find your wedding style and spark that all important inspiration. What are the favourite places you've visited? What’s your favourite Season or time of year? Where and when did you first meet/anniversary? Do you have a favourite Era? How about doing your lists separately first and then compare your answers? 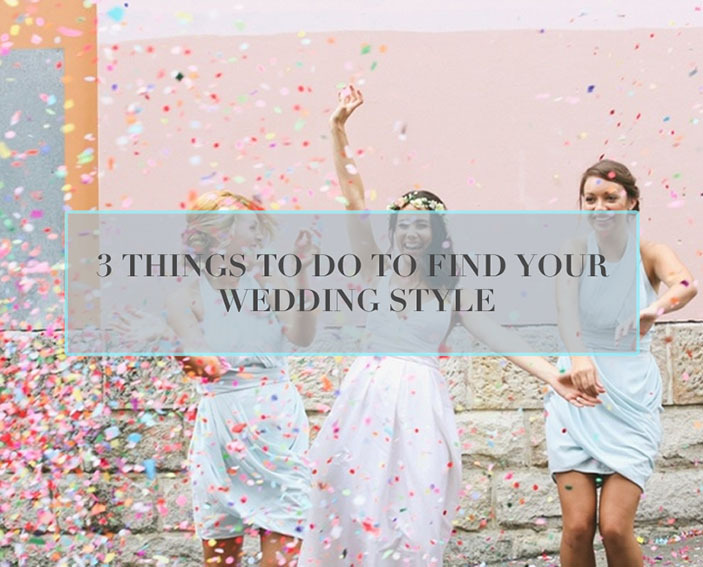 Hopefully you'll see some similarities in which you can build on and create your perfect wedding style together. At the beginning it can be very easy to become overwhelmed by the sheer amount of inspiration and ideas, so much so you can feel as though you're planning 6 different weddings. You'll hopefully see similar images emerge and little details that keep cropping up and once you see them, run with it and you'll start to see a beautiful theme shine through. 3. Be inspired by YOU! It's true that weddings are an extension of you as a couple, so your wedding style could be right underneath your noses, or maybe in the experiences you've shared together. Think about past holiday destinations, what you enjoy doing in your spare time, films and music tastes and even your home. Your home says a lot about you, the colours, the decor all the little knick naks, so take a little look around and you might get a spark of inspiration. Don't be afraid about being different, or thinking you need to stick to 1 idea, it's your big day! If you fancy an outdoor, vintage tea party with a rock and roll band inspired by the colours of your favourite holiday destination... go for it! Weddings are a celebration you as a couple, and even if you find it hard to find your 'theme' and don't worry, you'll naturally create your own - A perfect mix of everything you love and your personalities will shine through!